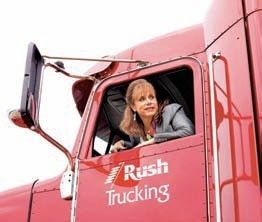 Andra Rush also founded Rush Trucking Inc. and Dakkota Integrated Systems LLC in suburban Detroit. DETROIT -- Detroit Manufacturing Systems Ltd. LLC today announced its top executives as the auto supplier prepares to begin manufacturing this year. DMS, a joint venture between Rush Group Ltd. and the North American subsidiary of French component supplier Faurecia SA, officially named Rush Group CEO Andra Rush its president and CEO. Rush also founded Rush Trucking Inc. and Dakkota Integrated Systems LLC, an auto interiors supplier. Both companies are based in suburban Detroit. DMS also appointed Wade Phillips its COO and Mike Hostnick vice president of manufacturing development. Phillips most recently was vice president of manufacturing engineering at Faurecia Emission Controls Technology, responsible for engineering at 16 exhaust plants in North America, the company said. Before Faurecia, he was vice president of Faurecia North America Inc.'s Chrysler business unit. Phillips is a graduate of the U.S. Military Academy and earned an MBA from Spring Arbor University near Jackson. Hostnik most recently worked for Rush planning and developing the joint venture. Before that, he was senior director of operations for MSSC, a former division of ArvinMeritor Inc. and now a division of Japan-based Mitsubishi Steel Manufacturing Co. Ltd.
Hostnik earned an MBA from the University of Phoenix. The joint venture was formed in May after Faurecia leased a portion of the 1.6 million-square-foot former Visteon Corp. plant near Ann Arbor, Mich., after acquiring the $1.1 billion book of interiors business from the plant. The plant is owned by Ford Motor Co. Rush Group holds the majority stake in the joint venture, which will take over about 70 percent of the book of business. Its plant at the Gateway Industrial Center in Detroit will supply cockpits, instrument and door panels and center consoles to 12 Ford programs including the F-150 pickup, Expedition, Explorer, Focus, Mustang and Taurus and the Lincoln Navigator and MKS. This month, Faurecia North America also began operations at the Saline plant.